Lloyd Werft has reported a “very satisfactory year” for 2014, citing big offshore projects and cruise ship work. The outlook for 2015 is unsatisfactory, however, according to a company statement. 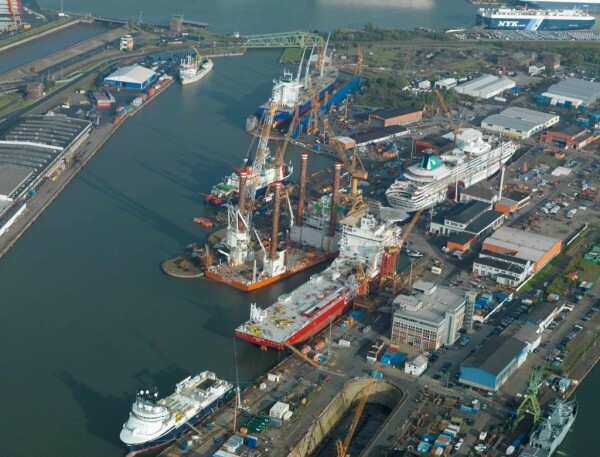 Board member Rudiger Pallentin said that the situation for German shipbuilding at large was not very encouraging and that 2014 had been an exception for the Bremerhaven yard thanks to offshore projects ad passenger ship work such as the conversion of the Artania, Thus, the yard saw 100 percent utilization of its docks and workforce last year. "Working with German Dry Docks (GDD) we achieved 100 percent occupancy of the Kaiserdock I and Kaiserdock II drydocks in 2014, as well as of the four jointly-managed floating docks. Since we are able sometimes to put two ships together in one dock, occupancy was technically 115%,” added Pallentin. Overall Lloyd Werft and GDD handled 132 ships in their docks last year. If alongside work is also taken into account –mainly at Lloyd Werft – then the figure is well over 150. Pallentin said Lloyd Werft welcomes challenges. He said: “Challenges have always determined our business and left their mark on our capabilities. The results achieved from our special efforts in design, engineering know-how and competent onboard procedures continue to be an important component of our international reputation." He further referred to the growing demand for Lloyd Werft competence in construction design sectors. One such sector, according to the ship repair company, is ballast water management. Lloyd Werft designers and engineers have developed solutions for the installation of ballast water treatment systems which will comply with IMO regulations. They are based on mechanical, physical or chemical procedures. Also, it is not absolutely necessary for the ships to come to Bremerhaven to have the systems installed. Lloyd Werft’s riding crews have for years been accustomed to tackling jobs in foreign ports and at sea. That’s why, ever since 2012, the shipyard’s motto has been "Your Ship - Our concept,” according to Pallentin. 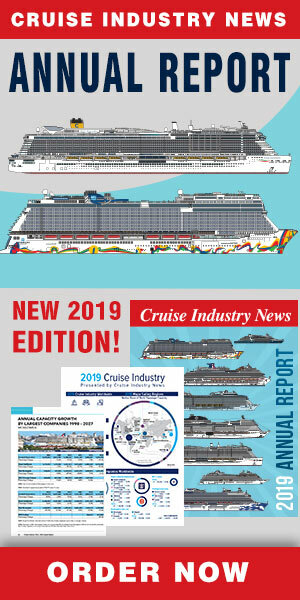 The conversion and repair of cruise ships is a significant part of the business. Leading the way in this field last year was a big contract to convert the new Phoenix Reisen’s the 231-meter long and 29.6-meter wide, 45,000-ton Artania. The yard was already familiar with the ship as the Artemis, when sailing for P&O. She was at Lloyd Werft for 76 days between September and December 2014 for installation of new engines, 152 cabin balconies, new suppressors, a modernized fresh water system and a lot of other detailed work. Other cruise ship jobs included the 24,318-ton Explorer, the 6,75-ton National Geographic Explorer and the 76,998-ton Mein Schiff 1. She was converted at Lloyd Werft in 2009 from Celebrity Cruises’ Galaxy to TUI Cruises first ship.